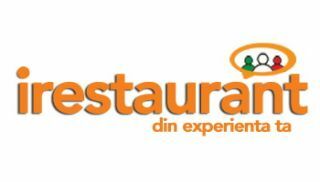 XRestaurants.co.uk is a restaurant website. Do you want to enjoy a good dinner or invite your business partners to a business lunch, do you want to have a romantic dinner with your partner or simply have some fun with your friends? XRestaurants offers you over 5000 restaurants in all UK from which you can choose. How did the idea to create a UK restaurant and venue website appear? Ciprian Dobrescu came up with the idea of XRestaurants, one night, when he decided he had enough of paying for questionable meals in certain restaurants when he wanted to eat out. After a while, we have moved to another urban area where the company’s head office was, and we weren’t familiar with any restaurant or pizzeria where we could have a meal to “hang out” with our friends. We would have wanted to have an online forum available to find out more about the interesting venues in our head office area. All this, combined with the fact that Ciprian couldn’t enjoy a meal in a restaurant which didn’t have any previous recommendations or reviews, as well as with his associate’s knowledge and experience of over 8 years in Marketing and Internet, triggered the idea to create a website that would allow users to make informed choices in terms of service and food quality in a restaurant before starting to spend the money on it. How did the XRestaurants name appear? In a summer day, in a restaurant in Brasov, when I was a little angry on the bad quality services we received there. We drew the main points of the website by talking to friends and acquaintances over that meal. We still have the restaurant receipt from that event in 2010.
Who are the investors behind the XRestaurants.co.uk website? The XRestaurants project had its first business plan finalized by the end of 2010, followed by several other presentations for possible investors. We received a six figure investment in the first 2 months of presentations from a private group of investors. How would you describe the XRestaurants brand? We will refrain from the classic “We are an online review website…etc.”, as we are much more than that. We are rather a place for all those who appreciate quality are not afraid to speak their mind; those who like to tell it as it is; those who enjoy helping others in finding something of quality or avoid anything that’s less than that. There are lots of “special” review websites on the Internet, but are they really fun? We want to make fun an essential factor when visiting the XRestaurants website. Mobile browsers will be an essential channel through which we shall convey the XRestaurants experience and will be implemented at the end of 2012. We want XRestaurants to be a completely free of charge source for the users and visitors accessing the website and are looking for quality before all. We will make a profit from the affiliated products while the restaurants and brands will pay for relevant results from searches and website presentations (push and pull advertising), especially the latter. On the other hand, licensing arrangements are also up for discussion regarding 2.0 web reviews with various websites. What are the objectives for the next 12 months? To improve the visitors’ experience on our website, to increase the quality of reviews on the website and many many more that we will reveal over the next year. Ok, this took a bit more than 2 minutes, but we hope you could get a clearer image of what we want to achieve with XRestaurants. To see how XRestaurants can be useful, please visit page “find out more”.